India’s growth outlook for fiscal 2020 will essentially have domestic drivers. The key drivers are expected to be private consumption and investment. With weak global environment, India will have to lean on domestic factors. With the government pursuing a fiscal consolidation path, the pickup in growth is expected to be only gradual. A change in the growth mix is on cards, with private sector likely to take over the baton from the government. How do India’s metrics look? GDP growth could see a modest uptick to 7.3 per cent in fiscal 2020. Fiscal 2019 was a year of recovery from demonetisation and the initial disruption caused by the Goods and Service Tax implementation. The economy has so far fired mainly on the public investment cylinder, and is estimated to grow at 7.2 per cent. Private consumption has disappointed. Exports, however, have performed well, presenting a buoy to the manufacturing sector. With the government likely to stick to a fiscal consolidation path, the pick-up in growth is expected to be only gradual. A change in the growth mix is on cards, with private sector likely to take over the baton from the government. Although it has slackened of late, private consumption growth next fiscal is likely to find support from softer interest rates and improvement in farm realisations, as food inflation moves up. Plus, the lower base effect will help. Private consumption growth has only been falling over the last 4 years. Overall investments rebounded in fiscal 2019 with fixed investments growing 12.2 per cent, up from 7.6 per cent in fiscal 2018. Moreover, the investment ratio (investment/GDP) is estimated to have surged to 32.9 per cent after wallowing at 30-31 per cent in the past 4-5 years. The pick-up might have brought with it a healthy change in the investment spending mix, though official data on this will only be available in early 2020. Spending (by the Centre and the states) on construction of rural roads, highways, and affordable housing drove public investments, but private investment looked up only in select sectors such as auto, cement and steel, where capacity utilisation increased. For fiscal 2020, sustaining the momentum in overall investments will be a tough task without support from private investments. With continuously improving capacity utilisation and the end of the de-leveraging phase for corporates, conditions are ripe for a revival of private corporate investments. A stable political outcome will facilitate this. Some worries show up here. In fiscal 2019, exports performed well, growing 12.1 per cent, led by a low base, easing of constraints posed by GST implementation and lingering tailwind of global trade revival in 2017. The spur was also reflected in the sharp pick-up in manufacturing GDP growth to 8.3 per cent compared with 5.7 per cent in fiscal 2018. But gains on the external front were offset with imports rising faster than exports. However, going forward, export growth faces risks of weakening global trade growth owing to escalating trade wars. But it could also benefit from bilateral trade wars, especially between United States and China. In the recent past, India’s exports to China have actually risen for those products on which China has imposed tariffs on US. Monsoon risk: Our base case assumption is of a fourth consecutive year of normal monsoon. The past 15 years have seen two such periods of four consecutive normal rainfall years – 2005 to 2008 and 2010 to 2013 –that yielded healthy average agriculture growth of 3.6 per cent and 5.5 per cent, respectively. But the National Oceanic Atmospheric Administration of United States (US) is forecasting an El Niño1 event in 2019. India faced two consecutive El Niño events in 2014 and 2015 with agriculture GDP growth dropping to near zero. Political risk: If the general elections this year were to yield a fractured mandate and derail/delay the process of reforms, the implications on sentiments, investments and growth could be adverse. Oil prices: In the base case, global crude oil prices are expected to soften to settle around $60-65 average per barrel in fiscal 2020 compared with $68-72 average per barrel in fiscal 2019 as overall global demand slows. However, some price pressure could be felt in response to the recently announced supply cuts by the Organisation of Petroleum Exporting Countries (OPEC). If oil prices were to spike and stay high through the fiscal, India’s manufacturers could face input price pressures. And with consumption seeing only a gradual revival, pass-through of these higher costs on to prices could be difficult therefore squeezing margins. Much weaker global outlook: For now, the deceleration in global growth is gradual. However, if the slowdown is much faster and deeper than is being currently expected, global demand and trade growth could severely slowdown, creating adverse consequences for India’s exports. Inflation to rise in fiscal 2020. In all likelihood, fiscal 2019 would be the second consecutive year of sub-4 per cent consumer price index (CPI)-based inflation. From an average 4.5 per cent in fiscal 2017, CPI inflation fell to 3.6 per cent in fiscal 2018. We estimate it at 3.7 per cent for fiscal 2019, given the continuous and sharp decline in food prices and slowdown in global crude oil prices compared with a few months ago. Food inflation has remained subdued for long, with key categories such as vegetables, pulses, and sugar witnessing fall in prices for many months now. This has been leading the decline in the headline number so far. But the situation could likely reverse if monsoon fails or is inadequate next fiscal (given early warnings of El Niño). Fiscal 2020 might also see an upturn in pulses prices as they seem to follow a cobweb phenomenon2 with prices rising every third year. According to World Bank’s latest projections, global food prices, which were almost stable in calendar 2018, are expected to rise by 1.5 per cent in 2019. This is likely to have bearing on domestic food prices, too. Also, if the government’s procurement machinery becomes responsive enough to address the farm stress, food prices could get pushed towards announced higher minimum support prices. Commission hikes by more states and populist measures such as farm loan waivers can add to the upside for core inflation or keep it elevated. Fuel (petrol & diesel) inflation is likely to remain soft. Global crude oil prices have come off their recent peak in October 2018, and are unlikely to rebound this year, given the slowdown in global growth prospects. 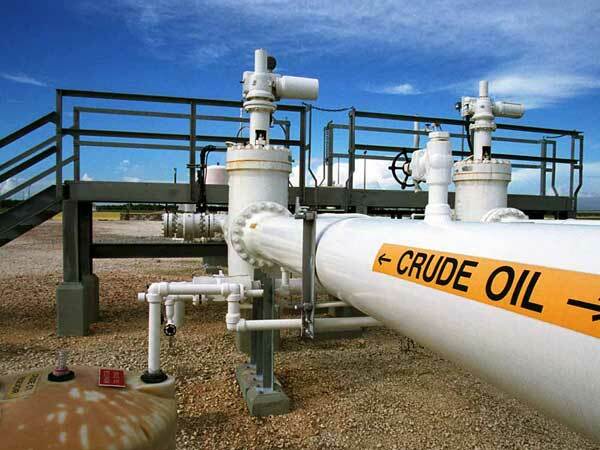 Lower crude oil prices can translate to lower fuel inflation for India provided excise duties are not hiked. However, it is important to note that the weight of petrol & diesel in overall CPI basket is quite low (2.3 per cent), and hence, its impact on overall inflation is limited. We expect current account deficit (CAD) to reduce to 2.4 per cent of GDP in fiscal 2020 from 2.6 per cent of GDP in fiscal 2019. Import growth is expected to slow down, driven by lower oil prices relative to fiscal 2019. However, export growth is also expected to slow on account of lower global GDP growth (especially in advanced economies and China,which are India’s top export destinations), and weakening global trade growth on account of escalating trade wars. We expect the rupee to remain volatile and settle at 72/$ on average by March 2020 compared with an estimate of 71/$ by March 2019. Low crude oil prices and slowing pace of monetary policy normalisation in the US will support the rupee, so we see only a modest weakening. Low crude oil prices keep external vulnerability (as measured by CAD) under check and slower policy rate hikes by the US Federal Reserve reduce the interest rate arbitrage. But given that India runs a CAD, rupee remains exposed to volatility emanating from oil, tariff wars, and monetary policy surprises from the advanced countries. Domestic interest rates, which had risen last year, are expected to soften in fiscal 2020. With inflation under control, softer crude oil prices relative to last year, we believe the Monetary Policy Committee would change its stance to neutral from calibrated tightening and could cut the repo rate by at least 25 bps (from 6.50 per cent currently). This will help soften benchmark bond yields. However, fiscal health remains a key risk. We assume central government’s fiscal deficit to be 3.3 per cent of GDP in fiscal 2020. Any slippage will put upward pressure on bond yields. On the global front, slower pace of rate hikes in the US will support domestic yields. S&P Global expects the Fed to raise rates only twice in 2019 by 25 bps each (compared with three hikes of 25 bps each projected earlier), following four rate hikes in 2018. Lower crude oil prices, and its positive impact on India’s macros - current account deficit, inflation and fiscal health -can further help investor sentiment. Due to these factors, we expect the 10-year government security (G-sec) yield to average at 7.5 per cent by March 2020 compared with 7.7 per cent in March 2019. 1. Growth is coming down from a high.The ‘synchronous’ music has more or less stopped, with recent growth projections signalling quite the reverse in 2019. Growth in most major economies is set to moderate. According to S&P Global, global growth is expected to slow to 3.6 per cent in 2019, compared with a six-year high of 3.8 per cent in 2018. The US is expected to lead the way down, as both waning fiscal stimulus and cumulative effect of ongoing monetary policy normalisation will drag growth. China's expansion will continue to moderate amid anticipated policy easing, as ongoing trade tensions impact business and investor confidence negatively. Europe will slow, too. Moreover, risks are tilted to the downside. They include uncertainty about trade wars and pace of interest rate normalisation by the US Federal Reserve. What’s in it for India: Slowing global demand and trade will hurt India’s exports growth in 2019. India’s exports already missed the bus in 2017, when growth was booming all around, owing to the twin domestic disruptions wrought by demonetisation and the Goods and Service Tax (GST) implementation. In 2018, volatility in crude oil prices, which peaked to a four-year high of $84 per barrel during the year, and US tariffs on steel and aluminium, further weakened net exports growth. Advanced economies are ‘normalising’, or winding back their extremely accommodative monetary policies unfurled in the wake of the 2008 global financial crisis. Of the four major central banks, the US Federal Reserve, European Central Bank, and the Bank of England have initiated policy normalisation, while the Bank of Japan is continuing with quantitative and qualitative easing. Typically, such monetary policy normalisation involves central banks’ tapering of asset purchases, raising policy rates, and eventually shrinking the size of their balance sheet to the normal level by rolling off maturing assets. What’s in it for India: While the slower-than-expected US Federal funds rate hike may favour foreign capital inflows into India, a pick-up in the policy rates in Europe may chip off some of the gains. But this is unlikely to materialise before the end of 2019. Moreover, US monetary policy actions have a greater impact on emerging market economies compared with the ECB. Overall, India will stand to gain from the slowing pace of US Fed rate hikes, in terms of capital flows. Being the largest import item, oil has a significant impact on India’s CAD, and indirect impact on inflation and fiscal deficit. The following table indicates how India’s CAD could change with different levels of crude oil prices. As crude oil prices rose to four-year highs in 2018, CAD sniffed 3 per cent of GDP, the highest since the ‘taper tantrum’ period. India’s vulnerability to crude oil price changes also made it one of the worst victims of capital flight among emerging markets. This caused a sharp depreciation in the rupee. However, since November, crude oil prices have fallen sharply, despite additional cuts announced by the OPEC, reflecting weakening global demand conditions. Going forward, slower global GDP and trade growth will weigh on demand and keep crude oil prices lower than last year.